Alys Clark is a senior research scientist at Auckland Bioengineering Institute. She specialises in developing virtual organs – computer-based representations of our physiology, that aim to behave just like the organs in our body. These virtual organs can be used to help us understand more about how the body works, without unnecessary tests and experiments, and also to design new treatment strategies when problems occur with our bodies. Alys is particularly interested in how we get oxygen from our environment throughout life, from the moment we are conceived and as we age. 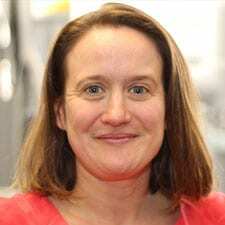 Alys is a Royal Society of New Zealand Rutherford Discovery Fellow, in 2017 was awarded the JH Michell Medal by Australia and New Zealand Industrial and Applied Mathematics for outstanding new researchers in Applied Mathematics for Australia and New Zealand, and in 2018 was part of a team awarded a University of Auckland Research Excellence Medal for development of a world-leading virtual lung .